Hypoallergenic formula for dogs sensitive to grains. 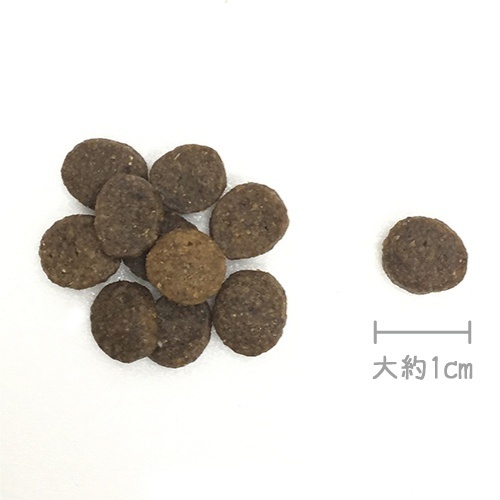 Source of curcumin, provides antioxidant benefit for dogs. 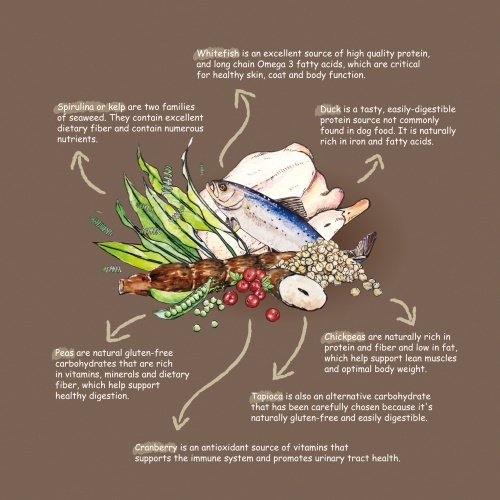 Ideal mix of vegetables, probiotics or prebiotics ensure optimal digestive health. Contains excellent dietary fiber and numerous nutrients. Are excellent sources of high quality protein for healthy skin and coat. ★Grain free recipes and food sensitive options without corn, wheat or soy, provide ideal choices for dogs with grain allergies or sensitive digestive systems. 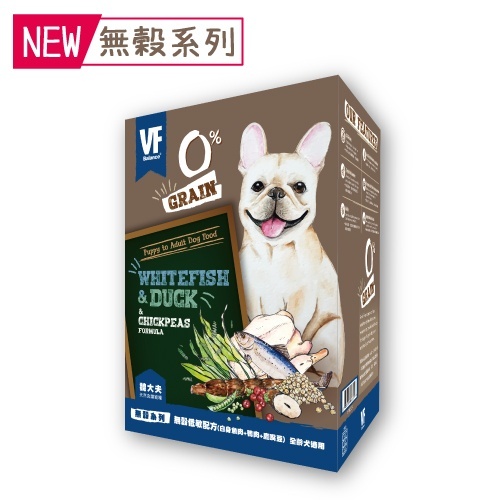 Whitefish Meal, Duck Meal, Chickpeas, Field Peas, Lentils, Chicken Fat (Preserved with Mixed Tocopherols), Tapioca Starch, Dried Plain Beet Pulp, Whole Ground Flaxseed, Natural Flavor, Dried Seaweed Meal, DL-Methionine, Salt, L-Lysine, Dried Lactobacillus Acidophilus Fermentation Product, Fructooligosaccharide, Turmeric Powder, Dried Carrots, Dried Spinach, Dried Cranberries, Essential Vitamins, Chelated Minerals.